Spain is a country with the most welcoming people. It is known for its diverse culture and festivals. Spanish cuisine is an important part of Spain; most of the dishes are influenced by regional cuisines and traditional culture. Barcelona, Madrid, Seville, and Ibiza are top tourist destinations in the world. From tortilla to tapas and to continental foods, Spain has a lot to offer. Even top Chefs in the world hail from Spain. 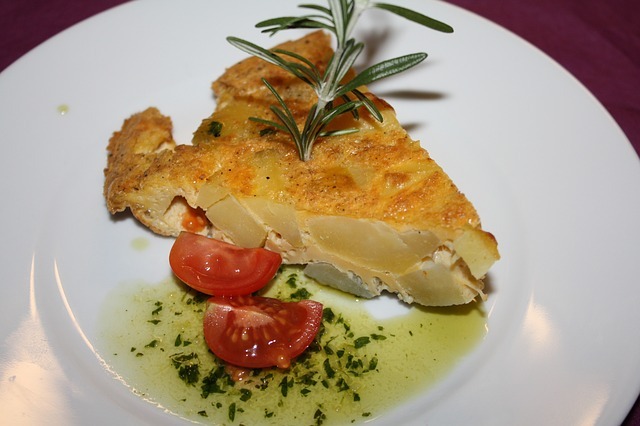 Tortilla de las Patatas- the Spanish omelet has the name Tortilla. It is not just an omelet; it is bliss in your mouth. Traditional Tortilla consists of potatoes, onions and eggs. Potatoes and onions are pre-fried in olive oil and then added to beaten egg. The result is one of the best egg dishes one will ever have. It can be found anywhere in Spain but the best ones are served in Catalonia and Barcelona. 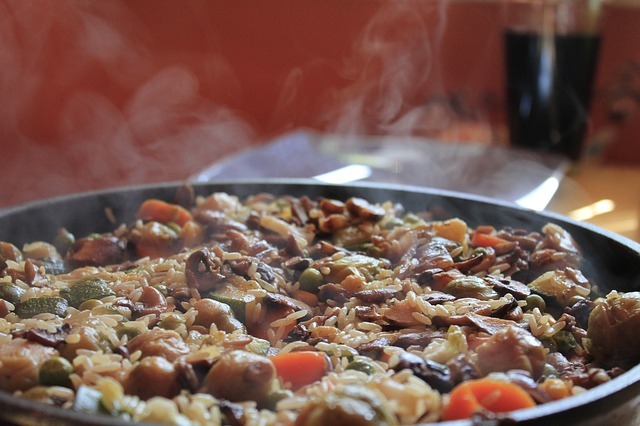 Paella- It has to be one of the most famous dishes in Spain. It is a delicious blend of rice, chicken, rabbit meat and beans. Paella is best served in Valencia in southeast Spain. The bomba or the calasparra rice is used to cook the dish. Paella is full of flavors and rich meat. Patatas Bravas- It is Spain’s most typical snack. It consists of diced potatoes that are fried and served with a hot sauce. Spaniards are not keen of spices but this snack is loved by everyone around Spain. They go well with a cup of tea. 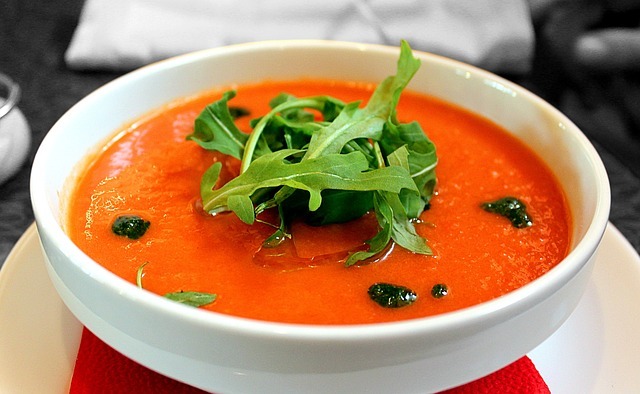 Gazpacho- When it is the time of summers and the festival La Tomatina is just around the corner, a cool drink such as Gazpacho helps you beat the heat. It is a chilled soup combining pestle-and-mortared cucumber, garlic, onion, pepper, and tomato with olive oil, salt, water and wine vinegar, the gazpacho is topped with chopped cucumber, onion, pepper, and tomato. In Andalucía in southern Spain, people have it every day in summer and there is always a jug on the counter in tapas bars. 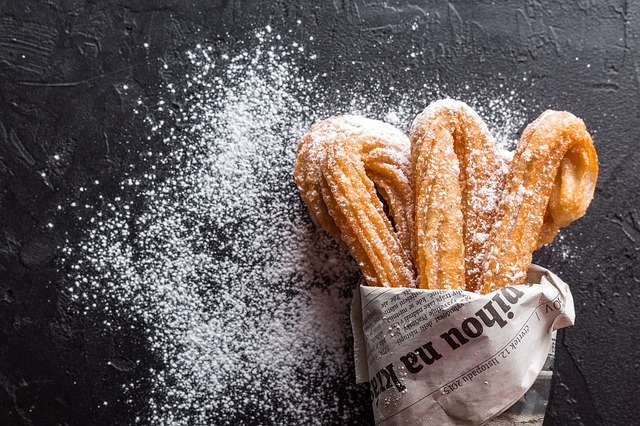 Churros- These are the traditional sweet dish of Spain and Portugal. A churro is a fried dough pastry snack and is consumed in many parts of the world including the USA and France. It is basically a breakfast dish. Churros have sugar sprinkled on top to add flavor. Jamón Ibérico- Jamón is the Spanish term for ham. In Spain if you walk into any bar or restaurant you'll always see a leg of ham. 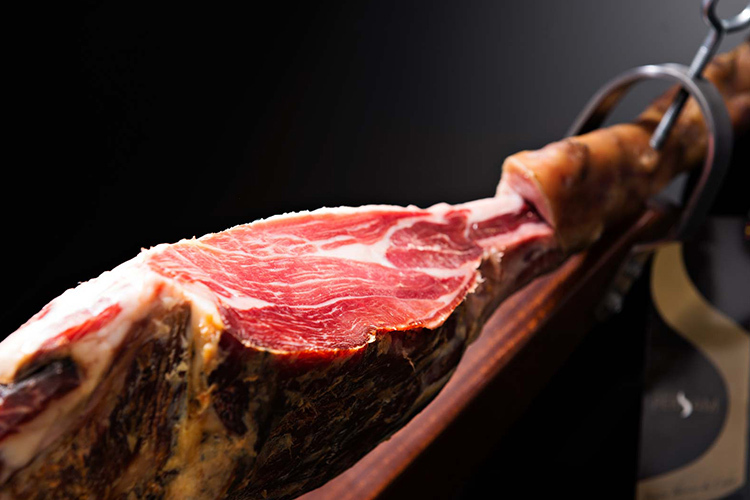 It is made from black Iberian pigs and has most distinctive Spanish essence. The best Jamón Ibérico is served in Madrid. 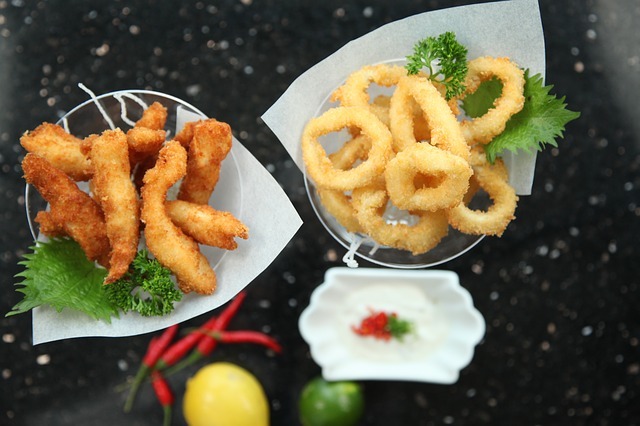 Calamari- Squid is eaten in many forms. One such form is a part of the Spanish dish, Calamari. The squid is deep fried and that makes it crunchy on the top and chewy on the inside. 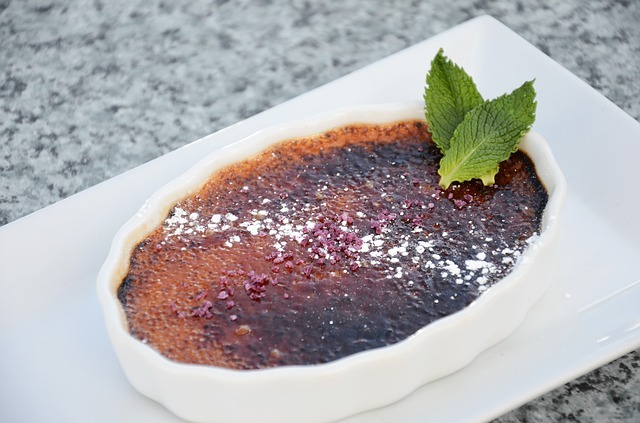 Creama Catalana- It is a famous dessert in Spain and France. Catalan cream is always served cold and it has custard infused with lemon rind and cinnamon, instead of vanilla, being much more refreshing than the French version. 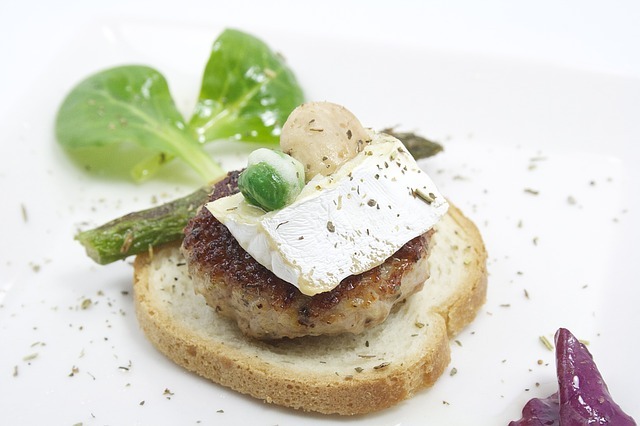 Tapas- Tapas cannot be ignored in the Spanish gastronomy. Spaniards eat them at any time of the day. If you order a drink at a corner café in Spain, you will probably get tapas served as well. A platter of cheese tapas in Madrid and Mallorca is definitely worth a try. What is Live Preview Feature in Microsoft Word 2007?